All of us do it. We walk past the local cake shop and ooh and ahh over what’s in the window. We have a shop here in Halifax called Scanway Catering on Quinpool Road. Their window is always full of amazingly decorated confections in fantastic forms, all sculpted in a seemingly perfect icing. Have you ever wondered how that perfect coating is achieved? It is actually “icing” but a different form than what we usually make at home. 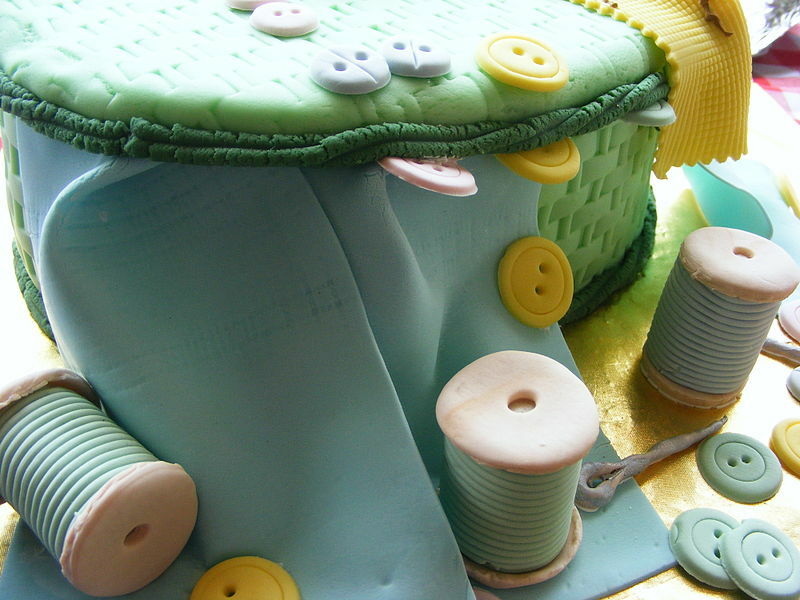 It’s called fondant. Fondant can be coloured in any shade you wish and can also be sculpted into amazing shapes limited only by your imagination and talent. Very few home cooks use fondant icing. 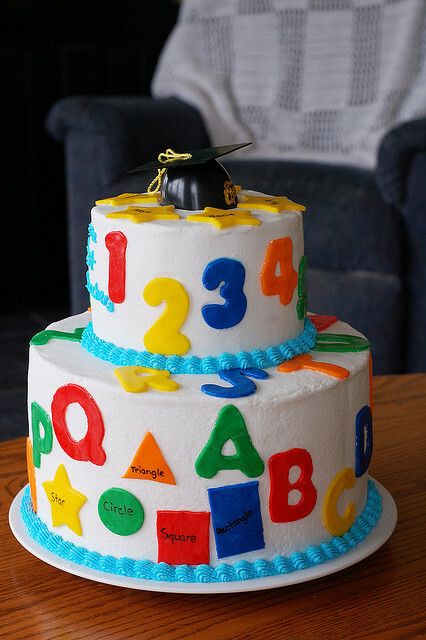 That's a shame as it can make that special cake a real show stopper. It’s really not that difficult to do. Seriously. Fondant is one of several kinds of icing-like substance used to decorate or sculpt pastries. The word, in French, means "melting", coming from the same root as "foundry" in English. 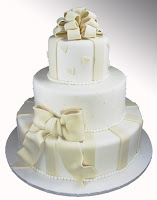 Rolled fondant or fondant icing is commonly used to decorate wedding cakes. It includes gelatin (or agar in vegetarian recipes) and food-grade glycerine, which keep the sugar pliable and creates a dough-like consistency. It can also be made using powdered sugar and melted marshmallows. Rolled fondant is rolled out like a pie crust and used to cover the cake. This gives the cakes a smooth appearance. The following recipe uses powdered sugar and marshmallows. It was posted on www.food.com, by TeksGlus on September 24, 2007. 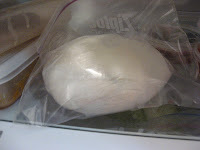 It’s actually quite easy to make and will last for several weeks in the refrigerator before you must use it. That’s quite a “make ahead” recipe. The directions below are “abridged” from her original post. Although you will have success by following my directions, I suggest you visit her post on food.com. When you're there post a comment of appreciation if you like what you’ve created. Credit where credit is due I always say. This recipe has 67 reviews and almost 5 out of 5 stars. It's a keeper. Melt marshmallows and 2 tablespoons of water in a microwave or double boiler. Microwave directions: 30 sec, stir, back in for 30, stir, until melted and smooth (about 2-1/2 minutes); Double boiler directions: combine and stir until melted together and smooth. Add 3/4 of the powdered sugar on the top of the melted marshmallow mix. Grease your hands as well as the surface on which you will be kneading the fondant. 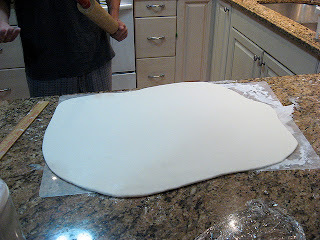 Place the fondant onto your work surface and begin kneading. It will be very sticky. Add the rest of the powdered sugar and continue kneading. Any time your hands begin to stick grease them with more shortening. If the mixture tears it’s too dry so add a little more water. In about 8 minutes you will have a smooth, elastic ball that does not tear when stretched. 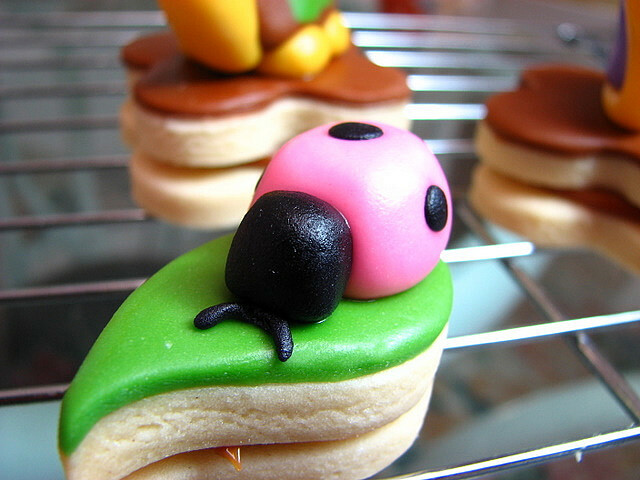 You can use the fondant immediately but it is best to let sit, double wrapped, at least overnight in the refrigerator. 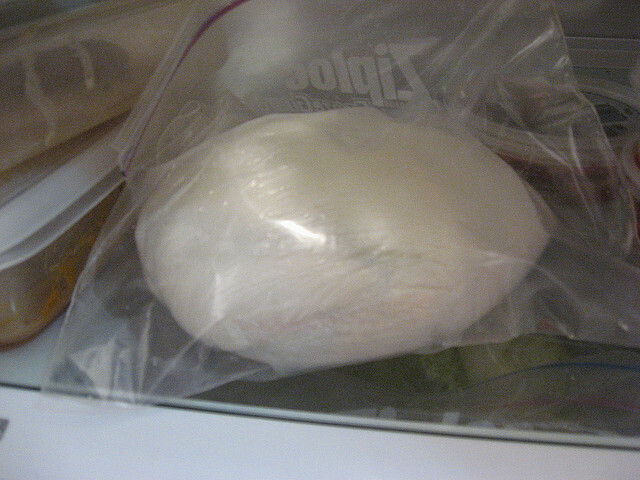 Prepare the fondant for storing by coating it with a good layer of Crisco shortening, wrap in plastic wrap and then put it in a Ziploc bag. Squeeze out as much air as possible.